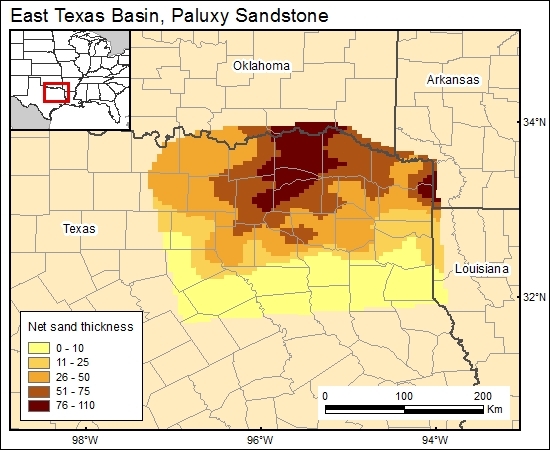 The effect of the salt structures is not as apparent on the net-sand-thickness map of the Paluxy (Core Laboratories, 1972) as it is in the formation-thickness map. Therefore, the salt structures affected both coarse- and finer grained clastics essentially equally. The Paluxy net-sand map was gridded in 5-km cells (c4paluxyg).